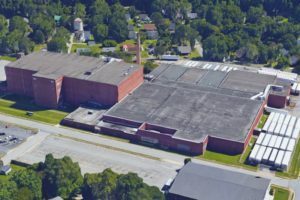 Short term warehouse space available in Greer – LANGSTON BLACK REAL ESTATE, INC.
Bob Ashworth of Langston-Black Real Estate has up to 249,000 sf of short term warehouse space available in the former Greer Mill located at 300 Connecticut Avenue in Greer. Lease rates are a very reasonable $2.50 to $3.00 per sf. Astra Services has recently taken advantage of this opportunity and has leased 14,000 sf in this building.